In this series we look into common reasons why a running injury doesn't improve. In Part 1, it's not you, it's me, we looked at carrying out your role in treatment. Next up we ask if you're seeing the right health professional and getting the right treatment… Maybe it's not me, it's you! Deciding to get a second opinion can be a difficult decision. You may have built up a relationship with a nice physio and it might feel like a bit of a betrayal. In a clinical profession though it's very much a normal thing to do and there's no personal ill-feeling. At our clinic I'll regularly ask my colleagues' opinions, especially with cases that aren't improving as predicted. Most therapists have a specialist area, some even have specific interests within that area. I specialise in running injury but my research is in tendinopathy. The point I'm making here is that it's normal for a therapist to have a knowledge and skill mix that might be more developed in certain areas. For best results you need to see someone whose skill mix matches your requirements. If things aren't improving the first step is to raise the topic with your health professional. Be honest and politely explain that things aren't getting better and see what they suggest. You can ask if they specialise in running injury and if they think a second opinion might be helpful. Have they explained what the injury is in a way that you can understand to help you manage it? Have they made suggestions on how to modify your training or replace it with cross-training? Do you have an effective exercise programme and is it being progressed? Are you getting more than just a weekly rub down? Is there a plan in place to achieve your goals? Have you built a good working relationship? If your needs aren't being met, or you've followed the advice and treatment for long enough but seen no change it may well be worth seeking a second opinion. 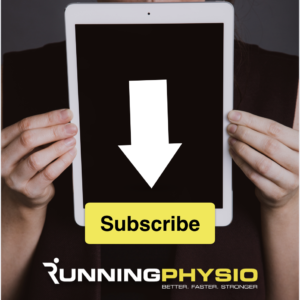 Do a little research, ask fellow runners and enquire within the online running community to find a specialist near you. If possible chat to them on the phone first and find out if they see your type of injury regularly and whether they feel they can help. Previous articleWhy am I not getting better? Part 1 – It’s not you, it’s me! Why am I not getting better? Part 1 – It’s not you, it’s me!